As I walk along the edge of the woods, I hear a funny, energetic little song in the thicket. It's distinctive, instantly recognizable. Sort of like a small explosion, with a pop at the beginning and at the end. 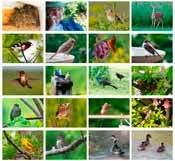 It's unusual, because few songbirds are singing in the middle of September in Iowa. 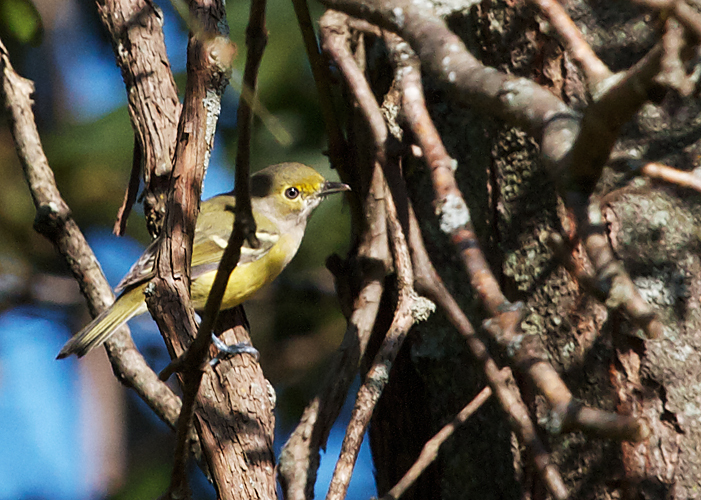 But the white-eyed vireo goes at it as if this were spring. He's a busy little bird. By where the sound comes from, I can tell that he's moving around pretty fast. Once in a while he emerges from the vegetation, coming into view for about half a second. Sometimes, in some individuals, especially adults, the iris of the eye really does look startlingly white, as in the photo at right. (The vireo is hanging from the under side of a twig, probing for insects.) In other individuals, the iris looks more tan than white, as in the photo above. That one is probably a juvenile bird.